One of two men convicted in the shooting deaths of four Alberta Mounties in 2005 has been arrested and charged with a drug crime. charged with a drug crime. Dennis Cheeseman was released from prison last November after serving two-thirds of his sentence for manslaughter. RCMP Staff-Sgt. Ron Campbell said Cheeseman was taken into custody Friday in a community only about 50 kilometres west of the Mayerthorpe-area farm where the four constables were ambushed. "Cheeseman has been arrested by Whitecourt (RCMP) and charged with possession of a controlled substance and the parole board has been notified," Campbell said. Cheeseman was being held in custody and is expected to appear in court early next month. When he was released from prison, it was on conditions that he abstain from drugs and alcohol and not associate with criminals until his entire sentence expires on April 13, 2016. 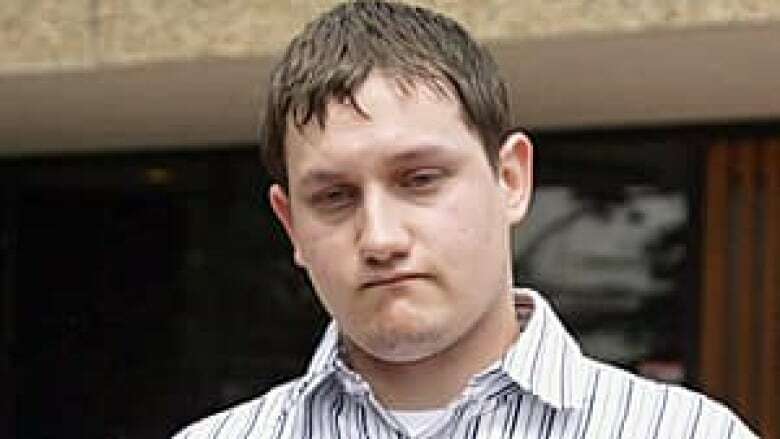 He and his brother-in-law, Shawn Hennessey, pleaded guilty to manslaughter for giving James Roszko a rifle and a ride to a farm where the Mounties were gunned down. Campbell said at this point Cheeseman only faces the drug charge. Whether he breached the terms of his release will be up to the Parole Board of Canada to decide, he added. Constables Peter Schiemann, Anthony Gordon, Brock Myrol and Leo Johnston had been guarding a Quonset hut on Roszko's farm on March 3, 2005, as part of a marijuana grow-op and automobile chop-shop investigation. Roszko ambushed the officers before he was shot and wounded, then killed himself. Cheeseman was sentenced in 2009 to seven years and two months. Hennessey was sentenced in 2009 to 10 years and four months for his role in the crime. They both lost court appeals asking for shorter sentences. A National Parole Board report last year said Cheeseman, who is from the Barrhead area northwest of Edmonton, was a model inmate, attending school and working as a cleaner. It said he didn't have a job lined up but planned to live with a relative until he can get his own place.